It will be 9 or 10 centimeters from a nape to heels. Many people asked to show, how I do plaster molds. It happens not so often because of my way of giving of individuality to dolls. 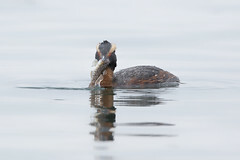 Sometimes there is no near at hand a camera. Sometimes simply I forget to photograph process. And always it occurs at bad illumination because I prefer to work at night (excuse for quality of a photo, in the winter at us night almost round the clock). But here circumstances have developed so that I could make it. Accompany their very detailed comments I can not — my level of English insufficiently for technical terms. I hope that pictures will show main principles. 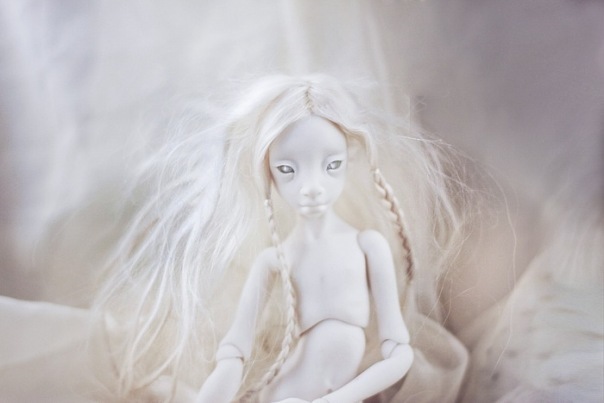 Though the White Mouse — my the first BJD — it enjoys wide popularity. I won’t sell it never for any money. But for a long time already wanted to make small circulation, about 10 copies. Now I have some orders for it — time has come. She has a little become puzzled. I do it with her eyes subsequently to have open space for individuality giving to each person of the doll. When I did it is long couldn’t choose between human and mouse ears. Now I can try all variants. Yellow and black — plasticine for sculptural works. All is ready for pouring of first half of parts from plaster. Remove JOVI — is was for creation of the necessary relief of first half of form. Now I should grease the top surface of plaster that second half wasn’t pasted. If it not to make — forms can be divided only a saw, the master-model hasn’t enough chances to survive in this case. I use for this purpose a cheap cream for hands with silicone. You can experiment with different creams. He should create border for plaster, but then watch off, that forms weren’t fat. After that it is possible to set up a fence from black plasticine back and to fill in second half of form with plaster. The most difficult is passed. It is necessary to wash only parts from plasticine. Here it again. Now I don’t have glue for a tail, but tomorrow she completely will recover from this shock. I know that these forms not so beautiful — curves. 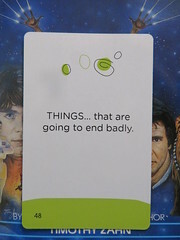 But it seems to me that it not the main thing. 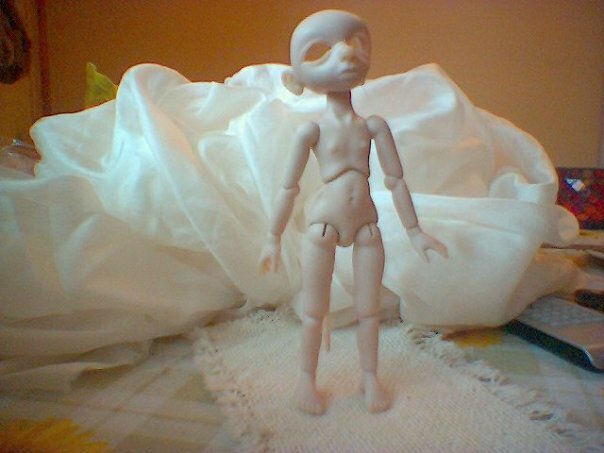 I prefer to spend the creative energy on dolls, instead of for an esthetics of process of manufacturing. This is how the cleanest and the most lucid porcelain in the world looks like when being made into a doll. I’m really charmed with its irreproachable structure. Me and Alena have photographed this state as an independent one. 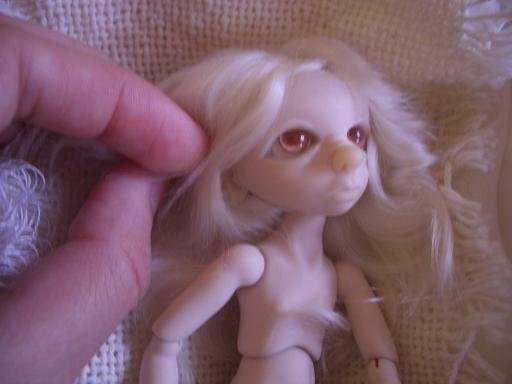 But this doll is a custom design and so I have to keep on working at her. However after this shoot I arrived at an idea that seems quite interesting for me. I know that there are many amazingly talented make-up artists who paint their resin dolls with dedication and fantasy hardly achievable for me — I love sculpting material and giving it shape much more than painting. 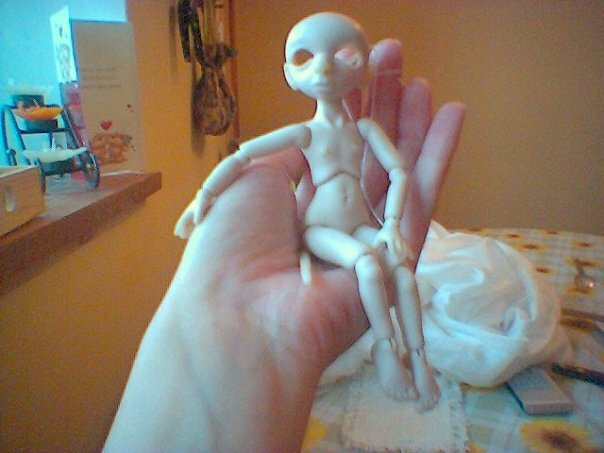 And so the idea is to make several blank dolls which can be painted as resin ones but with one great difference – porcelain can not be damaged by any kind of vehicles and the paint will never eat into it and spoil the doll. 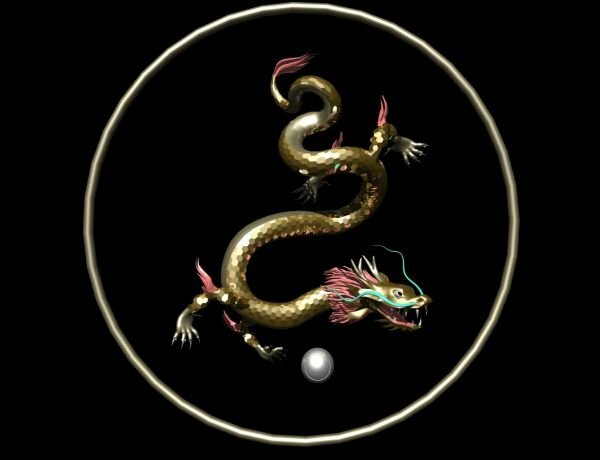 I’m quite sure that this opportunity will attract many talented people and furthermore will allow them to get round some difficulties they have to face when working with resin. The White Mouse Needed eyes. I don’t like painted eyes at all – no use to ask why, I just don’t. At first I wanted to give her a pair of eyes for, you know, teddy bears. But I didn’t like anything of what I’ve seen in shops. Yes, there’s a wide choice of goods on sites selling accessories for ball-joined dolls, but I don’t feel comfortable when I have to buy something without even holding it in my hands. The White Mouse’s face also can’t be regarded as standard, so she needed an unusual eyes of some weird color — at that moment I didn’t yet realize of which exactly. I needed at least several pairs of eyes to try them, to see if they fit and to finally find the ones which would make a perfect match. And so I began to serf on the internet the technology of eye making. Trying a couple of them didn’t give me a satisfying result, so I kept on searching. 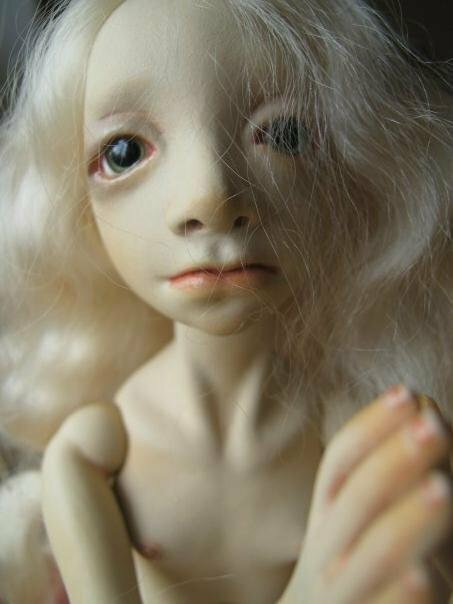 However perfection knows no bounds and, when I’ve started to make porcelain dolls I’ve faced a good old «eye problem» again – I didn’t want dolls of longeval material would have eyes that would stay bright for 50 years at the most just because of their chemical structure. And so I had to invent my own technology, far more complicated than the previous one, and started to make eyes of glass and porcelain. But before the happy moment when I’ve finally took clear beautiful eyes out of my oven I had to try about 10 sorts of glass and 50 sequences of painting, glazing temperature and so on, I was leaving the oven working for all night to find cracked and split and dull eyes in the morning. God you must know that feeling of helpless overfilling me for 6 months that it took to find out how to make things right. All eyes were perfectly clear! 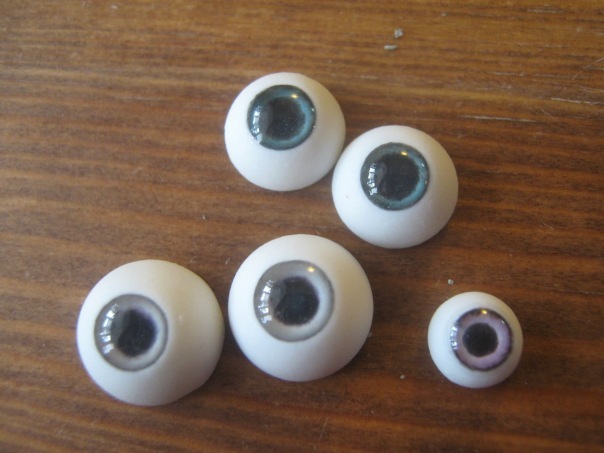 I know that this result is nothing outstanding for companies specialized on making doll eyes, but! It was my great victory that filled me with pure joy. Me dolls faces are not quite human and sometimes it takes a couple of try outs to find eyes for them. But I’ve already nipped on ahead – it’s a story about my first doll after all. She yet has eyes but is still bald and of course needs hair to fix it. In my childhood loved to make little funny creatures out of fur, clothes, pieces of fur, strings – of everything I could find. 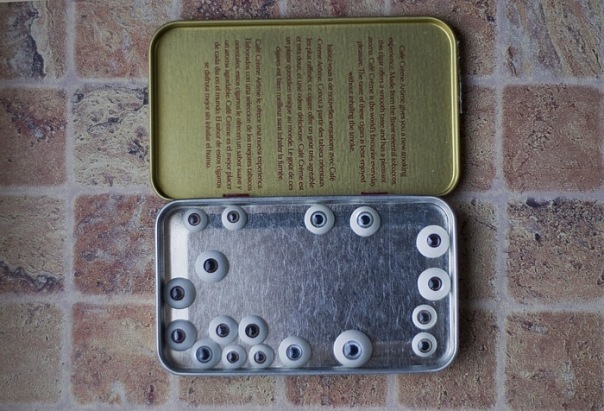 It was important for me to make my doll creatures movable – they all had a wire structure inside – and give them bright, live eyes. 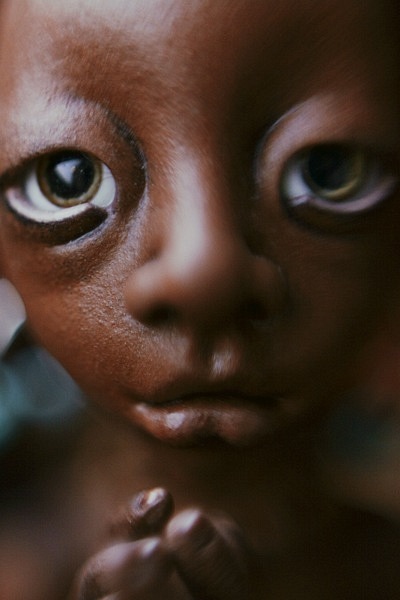 It’s a pity I don’t have any photos of those dolls now – 25 years passed since the moment I’ve made them. For then I couldn’t make eyes as beautiful as I wanted – the glue which I used to make a lens was silicate and so it gone wrinkled and dull. 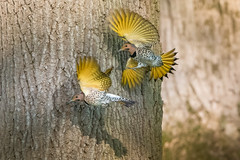 I plunged into reading about animals, fiction, medical and biological encyclopedias, scientific magazines adopted for children and serious reference books. The only things that bored me to death were history and geography. When reading I was always dreaming about embodying my favorite characters as a dolls. However I didn’t have any materials to make what I wanted — little, but movable and alive creatures. Time was passing by and brought me youth, love, marriage and job. With my job I can say I had all the luck – I turned out to be gifted in 3D modeling and for quite a long time I was creating sketches for souvenirs – you probably know, pieces of glass with openwork image inside. At first this job ecstasized me: I had a great boss who appreciated my talent and gave me valuable advises how to improve sculpture and composition. But then I gave a birth to my first son – I was filled up with happiness and absorbed with maternity. By the time I had to come back to work I’ve understood that no longer see any interest in 3D modeling. Yes, virtual sculpture is beautiful, yet it can’t be touched and played with. And so I’ve decided to return to my childhood dream – little movable creature. At first I tried to make dolls with wire structures, but didn’t even finish any of them as they were not what I wanted – soft, ugly body. 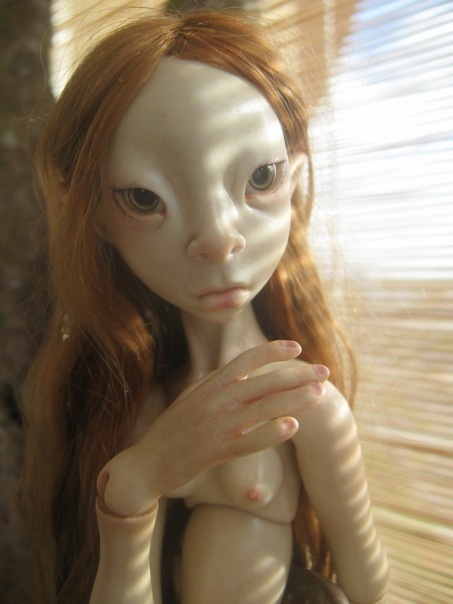 Static dolls were not for me as well – yes, they can be beautifully made. And be put on the shelf. But I continued searching for different options that would let me to embody my dream and accidentally came against ball joined dolls. Firstly joints freaked me out a bit – I really didn’t like them. When making my first doll I was thinking – ok, I’ll sew her a pretty dress closing all the joints and she. Will. Be. Just. Movable. No joints. For god’s sake. 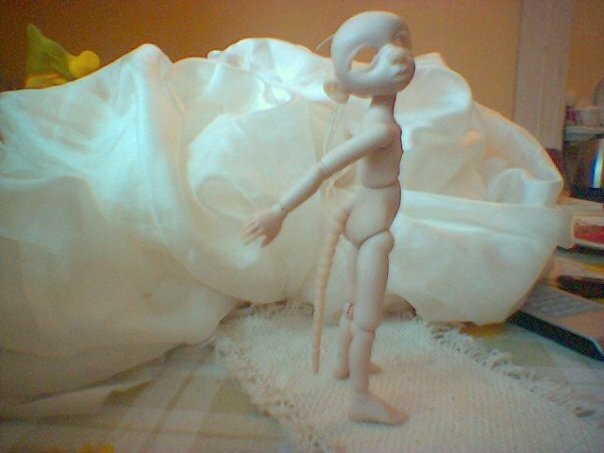 Surprisingly while making this doll – The White Mouse, step by step I got used to all her joints. I’ve made some changes here and there in common aesthetics, studied human anatomy in details to make joints look natural and harmonious in the wholly body silhouette. When I’ve finally finished her she began to seem nice to me. I wasn’t very confident of my taste but I’ve submitted her on BJDCLUB.RU – source dedicated to.. Well, it’s easy to guess. I was afraid of blame and disapproval – people on Russian forums are sometimes being too tough while telling their opinion. However I was surprised when The White Mouse got many positive responses. But yet she fascinated many people and they asked to finish her and even interested about my plans on her edition. It was 2.5 years ago. 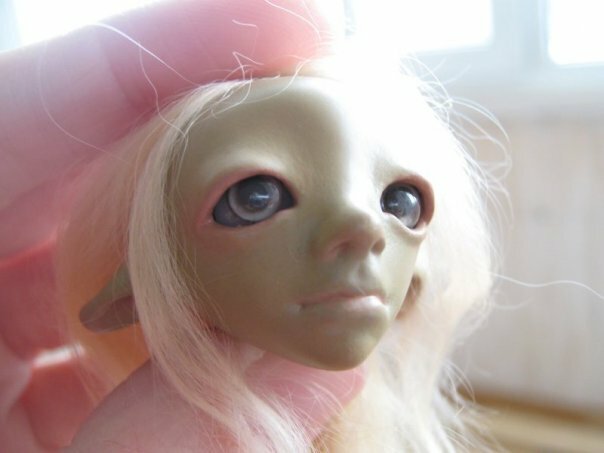 And she still needed to be worked on – I still did not make shiny live eyes I dreamed about when I was a child.